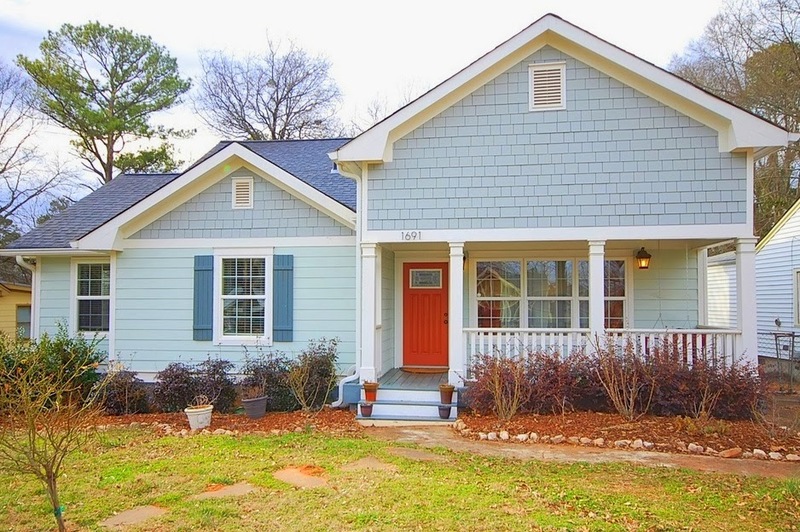 Located in the south Kirkwood area neighborhood of Atlanta, 1691 Fairway Hill is a 4 bedroom 2.5 bath renovated bungalow sitting on an oversized private lot and includes an additional “bonus space” on the main level. The spacious kitchen has been totally remodeled with solid granite counters, a stainless appliance package and custom wood cabinetry. The living room showcases custom built in shelving, soaring vaulted ceilings and gleaming hardwood floors. Upstairs you'll find a master suite with remodeled private bathroom, large walk-in closet and juliet balcony overlooking the backyard. There’s a wood entertainment deck off the back and a large, fenced backyard. Sparkling improvements have been made such as repainting the interior and adding the fence, custom stone patio and firepit outside. 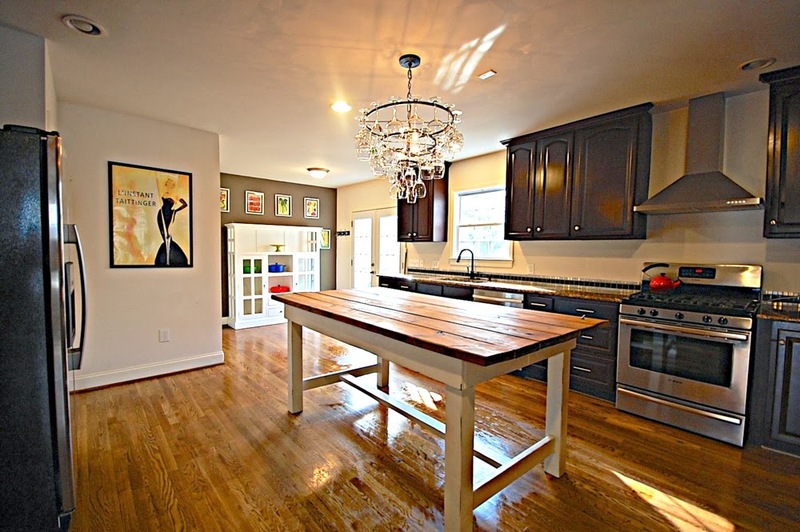 Located just a half mile from Kirkwood Village, 1 mile to East Atlanta Village and just minutes to I-20, I-75/85 — your minutes to everything Atlanta..
Come for a visit, and you will quickly understand why “SIZE” does matter. Completely renovated in 2010, the living room has been expanded towards the front of the house and the soaring vaulted ceiling gives the space a grand, open feel. The new kitchen is about 50% bigger than what you'll find in comparable homes with stainless steel appliances, wood cabinets, granite counter tops, a built in pantry and wine glass chandelier. Through the years many have dreamed of living in this part of town only to be frustrated with the older designs. Here, the 3 key rooms - the kitchen, the living room, and the dining room - totally work. It is worth the trip just to see the space. Intricate architectural features such as arched entry ways, built-in shelving and an open floor plan make this house feel contemporary and comfortable at the same time. Three attributes make this home appealing. One is the close-in Kirkwood location. The neighborhood is desirable, but most houses are dated. This one, however, has been updated for modern living, and it has one final make-you-swoon benefit: the oversized lot site offers expanded outdoor living spaces, including a custom stone patio and firepit -- the privacy will make you feel like you're on vacation. The lot goes back more than 200 feet, and the back section dissolves into natural overgrowth. . If this is all starting to sound interesting there is more good news--the home has been tastefully decorated by the current owners. How many times have you walked into a house in which all the walls and ceilings are the same shade of beige? Not so here. The entire palette has been orchestrated with cheerful colors that coordinate beautifully with the window treatments and hardwood floors. The master bath was upgraded during the remodel. The kitchen received the most attention. Expensive, solid granite counters were installed. If you have never had granite counters you will quickly understand why chefs prefer this surface--it is elegant and durable. You can chop ingredients, cut fresh flowers or roll out cookie dough. Accented backsplash tiles add even more texture and patina to the cooking area. There’s also the stainless appliance package - gas cooktop, dishwasher and vented hood. And finally, there’s the custom built island work station — built by a close friend of the current owner they are happy to include it in the sale with an acceptable offer. If it has not occurred to you just yet, can you imagine how fun this kitchen would be when entertaining friends? They can join you in preparing the feast, or just sit at the island while you put on a demonstration. You can also walk them just outside to explore the oversized backyard. You have never seen this much usable outdoor living space in this location at this price -- including an al- fresco dining spot on the custom stone patio and there's also a firepit! EXTRAS LIKE A FIRST-FLOOR GUEST ROOM & A LIGHT FILLED HOME OFFICE. The overall design includes an appealing layout. For example, there are two first-floor guest rooms, and full bath and a half in case you have older relatives who will visit but cannot climb stairs. The master, and an additional bedrooms are upstairs. And storage won’t be a problem here — there’s closet space to spare. Well priced given what is offered here. The price is $299,900 - at least 20% less than what you would pay for a similar home in the northern sector of the Kirkwood neighborhood. If you're a ready-to-act buyer, get to this home right way. Because sales in Atlanta are up the last 10 months in a row compared to the same period a year ago. Dear reader, here is your chance to own a home you can grow into. The setting is private. The floor plan is expansive, there are many extras, and the location is close-in. And the seller has established a very tempting price. 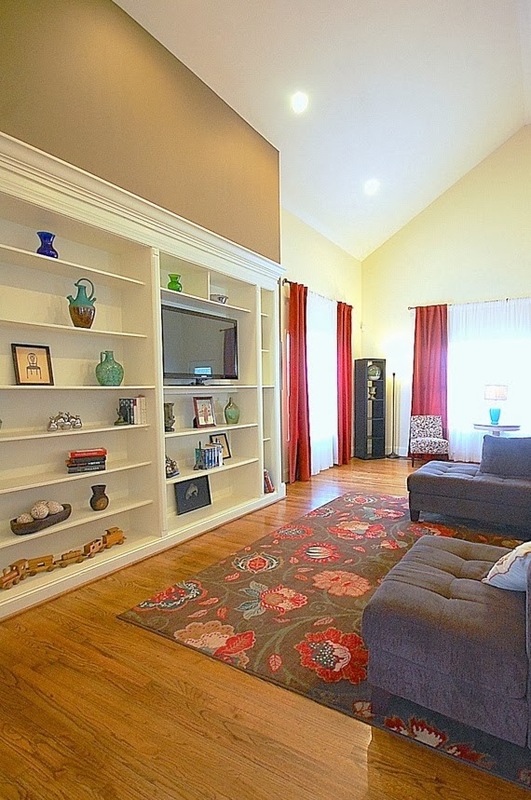 You won't find intown living with this much space at this price anywhere else. Call today for availability and to arrange a private showing. For the most up to date listing price or to arrange a no-hassle, private showing feel comfortable calling or text messaging Joshua at 404.538.5356 today. He's happy to help answer any of your questions about the home and help you discover why this is the home you've been waiting for.